On behalf of admin of JML Law, A Professional Law Corporation posted in wrongful death on Friday, Jan 19 2018. A Los Angeles County family has filed a lawsuit against the county alleging wrongful death of their incarcerated son. But can the county be held liable? Prisons in Los Angeles are places where jail abuse and deaths are not unheard of. But what many people don’t realize is that the county assumes responsibility for every inmate’s health and safety, our Los Angeles wrongful death attorney explains. The parents of Juan Manuel Correa Jr., who died last year during his incarceration in the Men’s Central Jail in Los Angeles County, are suing the county for wrongful death, alleging that their son was wrongfully denied medical care. Mr. Correa Jr., 31, had allegedly been pepper-sprayed by one of sheriff’s deputies and shot with a stun gun during a fistfight with another inmate in the prison. The man, who deputies confirmed was injured as a result of pepper-spraying, was allegedly denied medical care, which the parents believe lead to their son’s death. The parents, who seek unspecified damages in their wrongful death lawsuit, allege negligence and civil rights violations on the part of the county’s jail and Los Angeles County. Our best wrongful death attorneys in Los Angeles explain that it’s possible to file a wrongful death lawsuit against Los Angeles County in cases where the county assumes responsibility for an individual’s health and safety and then fails to exercise a high standard of care to prevent the death of a prisoner. Jail abuse is not uncommon in Los Angeles County’s prison, but so are wrongful deaths. The county and the local government can potentially be held liable if the jail fails to provide necessary medical treatment to injured inmates. This could be the case in Mr. Correa’s death in 2017, as explained by our wrongful death lawyers at JML Law, a reputable Los Angeles-based law firm litigating wrongful death cases. The county can be held liable for the prisoner’s death not only when jails intentionally deny medical care or delay treatment, but also when medical care is not provided to prisoners in need of health care in a timely manner. What to do if your loved one dies in jail? In the vast majority of wrongful death cases in jails in Los Angeles, prisoners die from totally preventable medical conditions, which means the jail’s staff most likely showed reckless disregard for the inmate’s rights and failed to exercise a high standard of care. 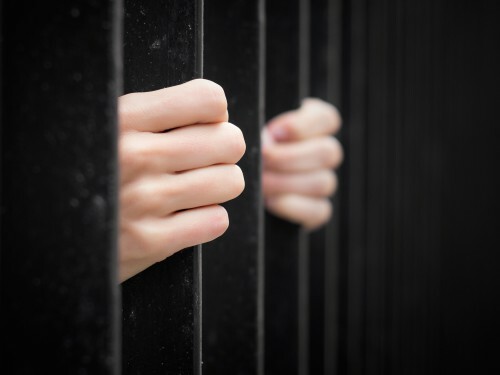 In fact, our Los Angeles wrongful death lawyer also argues that the county could be held liable if the prison’s staff were not trained properly to detect certain medical conditions, which, in turn, kills a prisoner. If your loved one has died in jail, seek immediate legal help from a wrongful death attorney to investigate the cause of death and rule out the possibility of wrongful death. After all, you never know whether or not the prison provided adequate medical care to your loved one prior to his/her death. Only an experienced attorney can investigate your case and determine liability in a wrongful death claim. If the lawyer proves that the county can be held liable for wrongful death, your claim could total hundreds of thousands of dollars – in many cases even millions – in economic and non-economic damages. It’s never advised to even attempt to take legal action against a prison or Los Angeles County on your own. Needless to say, they are armed to teeth with teams of lawyers who help them avoid responsibility in cases where they are clearly liable. Speak to our wrongful death attorneys at JML Law immediately to find out your best course of action. Call our Los Angeles offices at 818-610-8800 or send an email to schedule a free consultation.